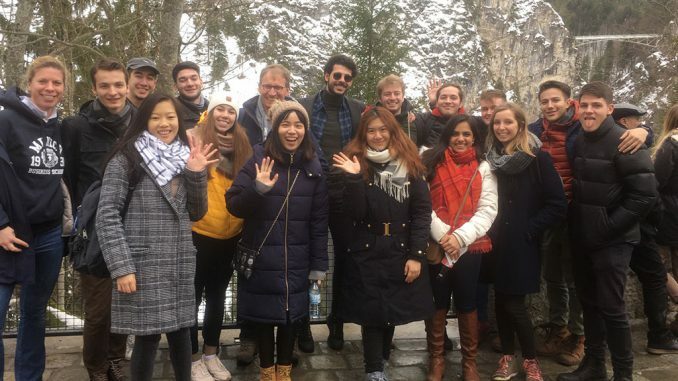 Accompanied by the MBS university management, namely MBS Dean Prof. Dr. Stefan Baldi and Chancellor Nathalie von Seyfried, a group of (mostly) incoming international students did an excursion to Bavaria’s fairytale castles, Hohenschwangau and Neuschwanstein on Saturday. 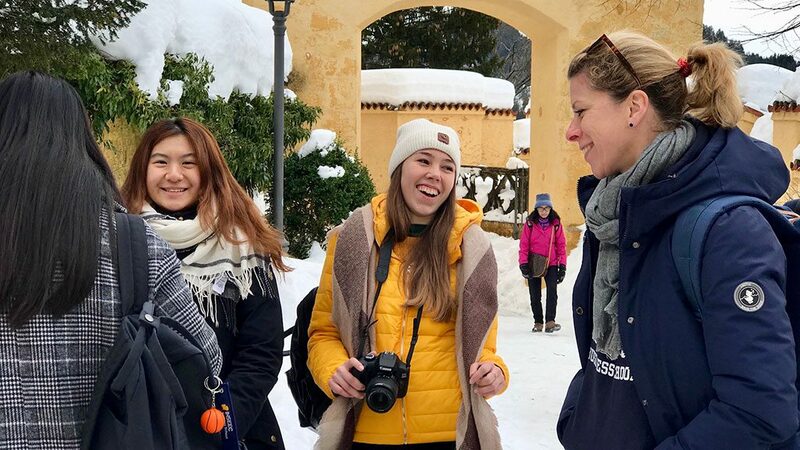 Arriving at their destination after a bus ride from Munich Business School, the students were greeted by sunny weather and mild temperatures before taking a walk to Hohenschwangau Castle. 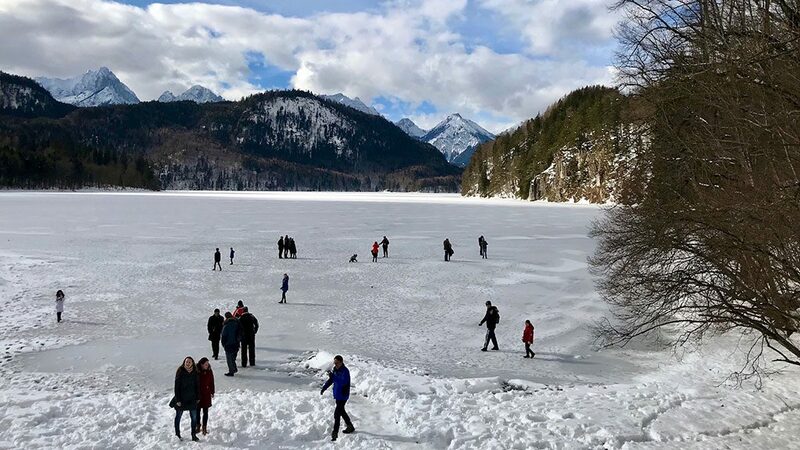 The students enjoyed a guided tour through the medieval castle, followed by some free time to discover the surroundings, including the nearby lake, the Alpsee, which presented itself in a beautiful, winterly raiment. 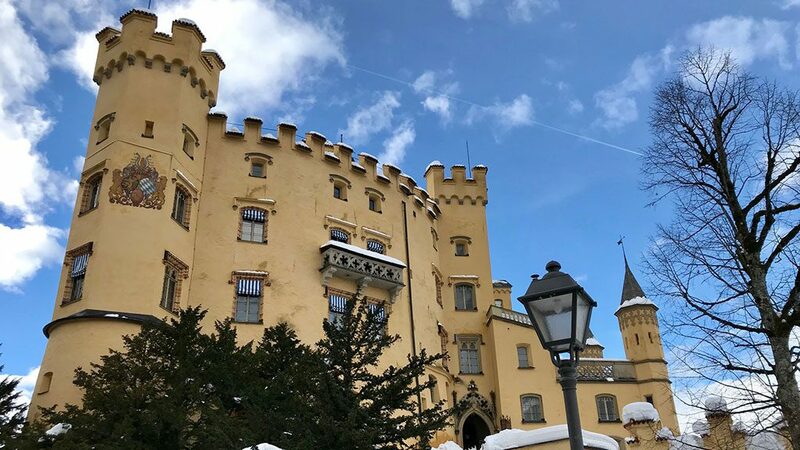 First stop: Hohenschwangau Castle, the smaller one of the two fairytale castles, and the nearby Alpsee. 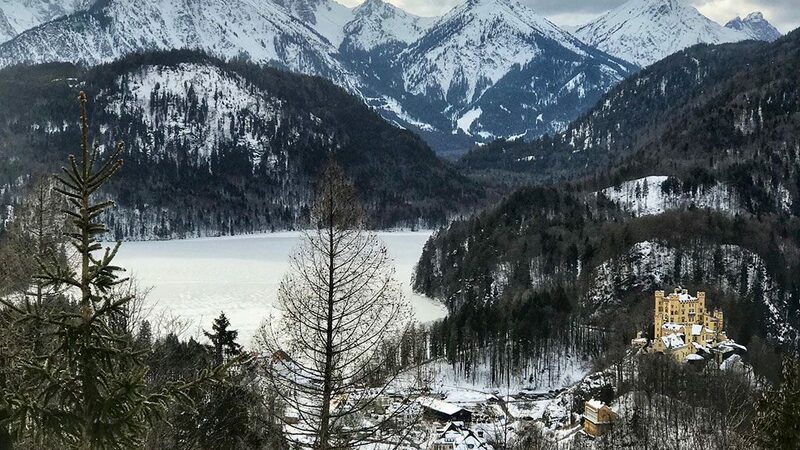 Afterwards, it was about time for the highlight of the tour: Neuschwanstein Castle, probably Germany’s most renowned castle. 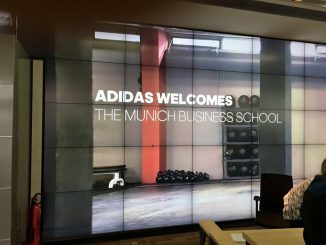 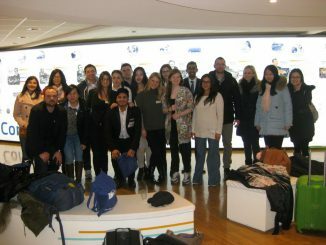 Here, the students enjoyed another guided tour before heading back down to the valley, and to Munich. 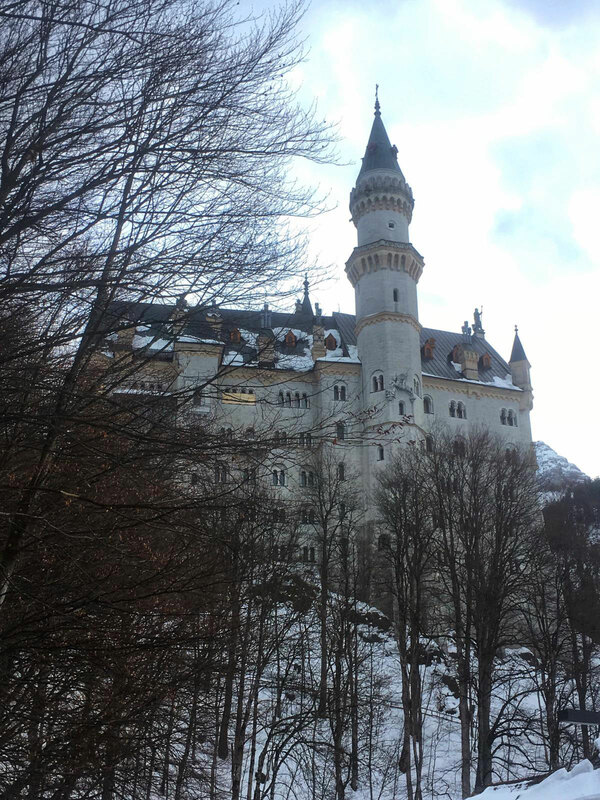 Second stop: the Neuschwanstein Castle. 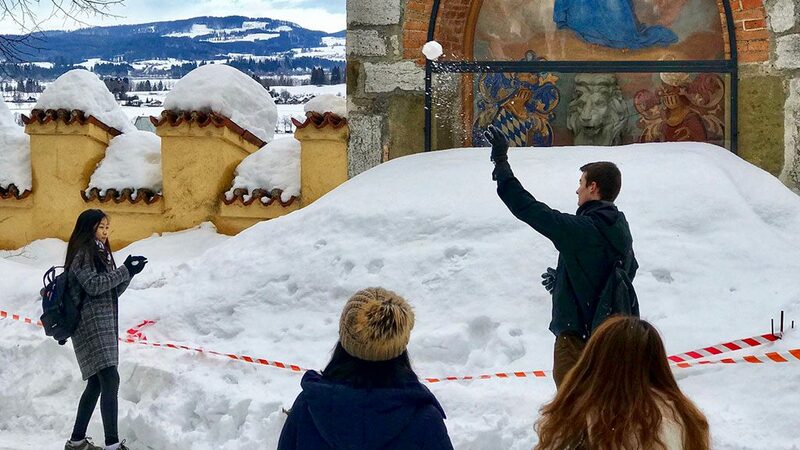 Thanks to everybody for joining the excursion, we hope you enjoyed it! 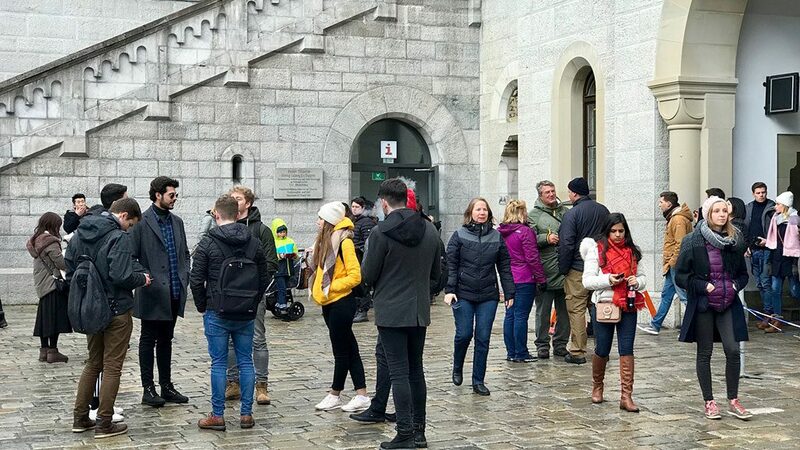 Left: inside Neuschwanstein Castle. 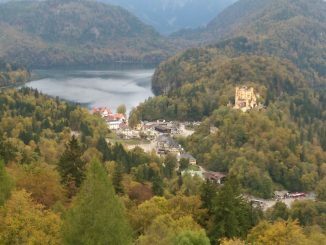 Right: A beautiful view of Hohenschwangau Castle from Neuschwanstein Castle.